Whether you're looking to personalize your phone charger, Gear VR or remote control Skinit's got you covered. You already have skins for your MacBook and iPhone, so why not go a step further? 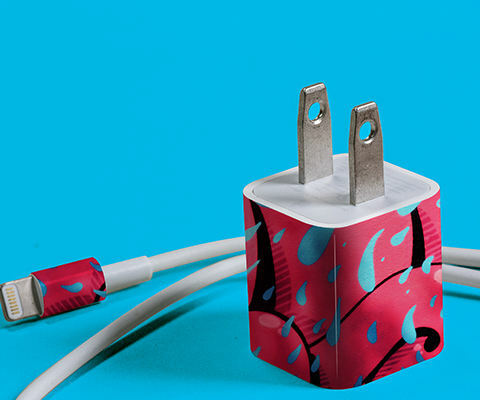 Skinit offers custom decal skins for your chargers, Apple TV, Lightning Dock and more. Personalize all of your Apple devices with a funny photo, your favorite artwork and more. Skinit doesn't only offer custom skins for your Galaxy smartphone and Samsung laptop. We also have custom skins for your Gear VR, phone charger and Galaxy Book keyboard! Choose your device and create a custom skin now. Add a pack of punch to your new Fire TV with your own personal style. Let your style and passion shine through on your Amazon streamer with a custom Fire TV skin from Skinit.